Fiber Antics by Veronica: When does a 1/4 inch really matter? 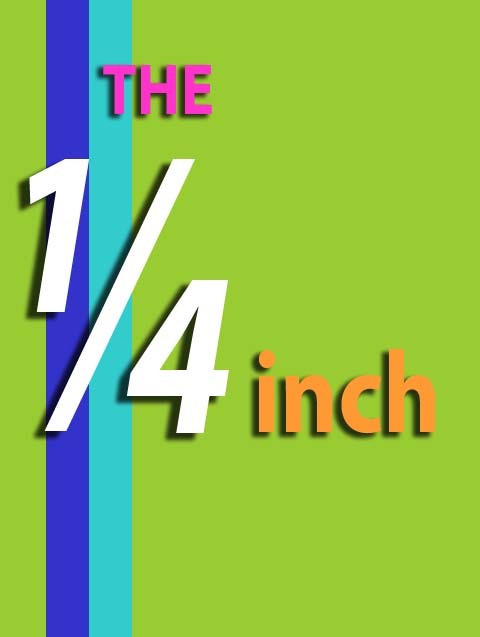 When does a 1/4 inch really matter? When does a 1/4" really matter? Because I did technical writing in a previous career—writing procedures for digital file creation and file submission to networked, production printing systems—I sometimes get asked to proof or "tech-edit" quilting patterns. A while ago, someone asked if I would look over a draft of instructions they were writing for an easy scrap quilt. 3 pieces 42" x 6"
1 piece 42" x 6.25"
1 piece 42" x 6.5"
Oh, and when the quilt's washed and the fabric gets all crinkley... ya think you could tell the diff' then? If you attempt pattern writing, put yourself in the shoes of those that purchase or will use your pattern—and be accountable. Makers will not only appreciate it, but they will be more successful and feel confident to make the "next something" that catches their eye. Consumers have a responsibility, too! And the other side of that coin? When you purchase a pattern, please adhere to copyright laws! Read Sam's post on the ultimate effect of stealing patterns.